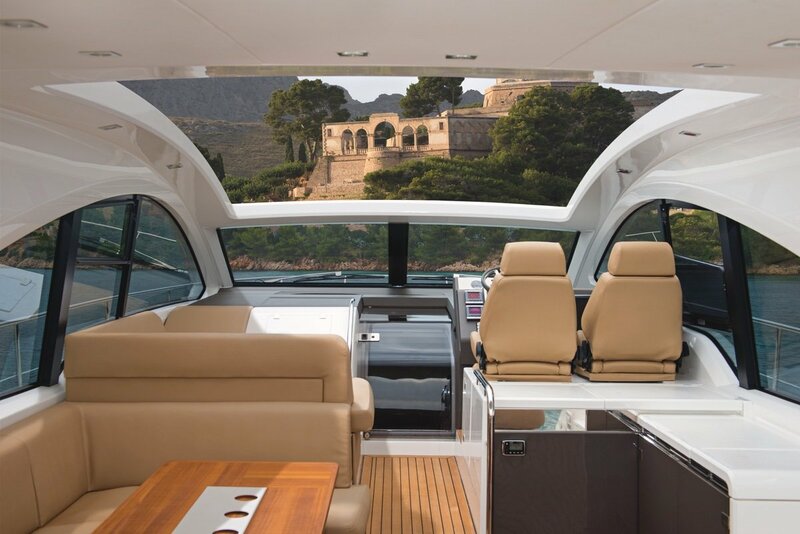 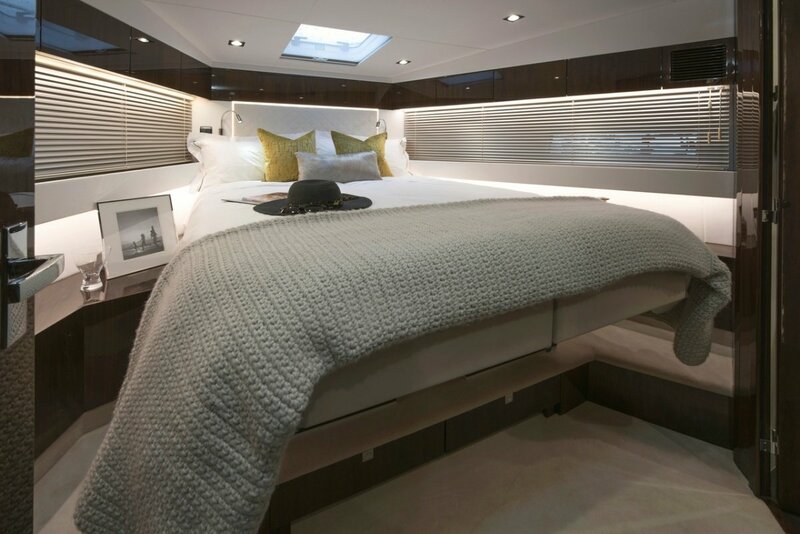 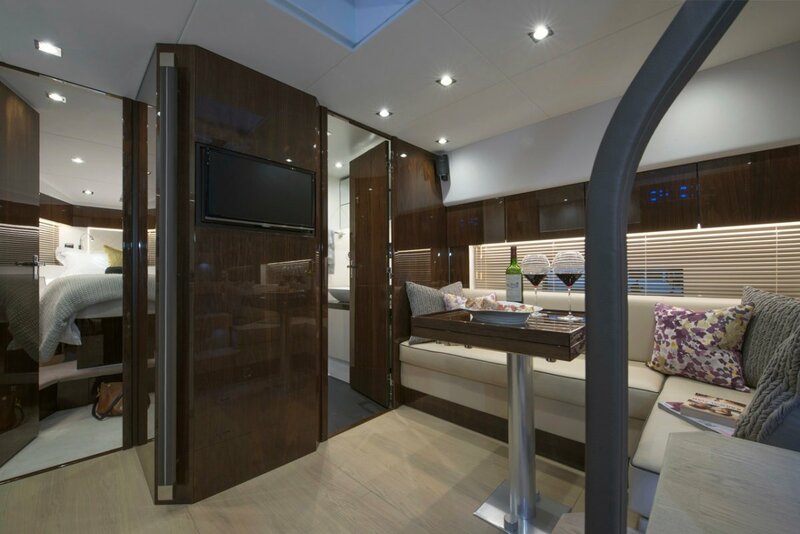 This sleek and powerful 48 footer is built to the same thoroughbred standard of quality and engineering as the larger models, leading by example to the competitors in it's class. 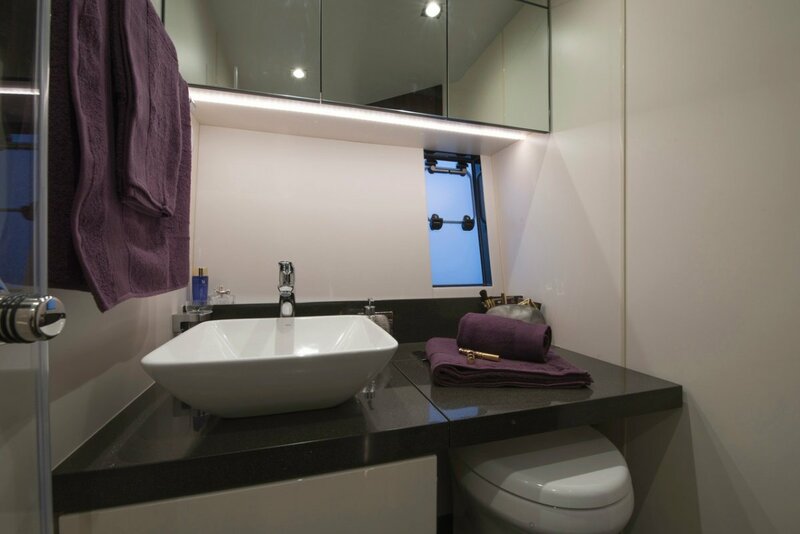 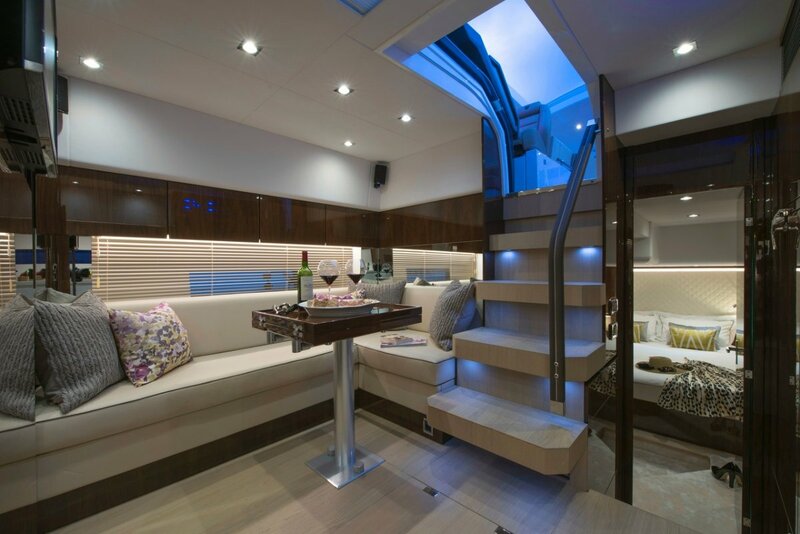 This latest design is truly striking, it features panoramic windows and the choice of having your living space fully open or fully closed by operating the smooth electric sliding roof. 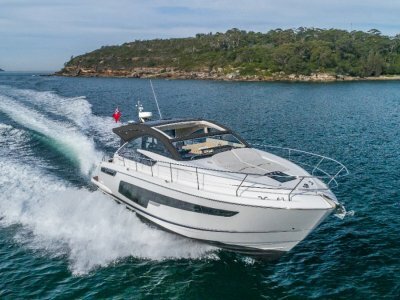 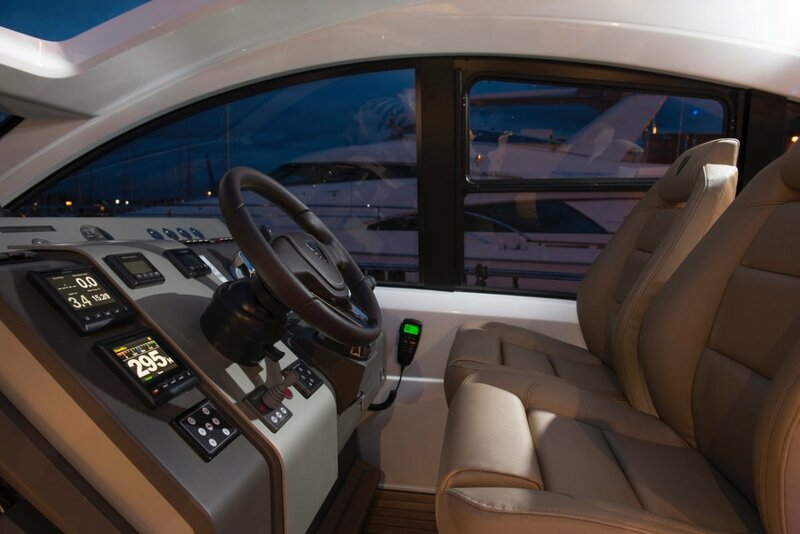 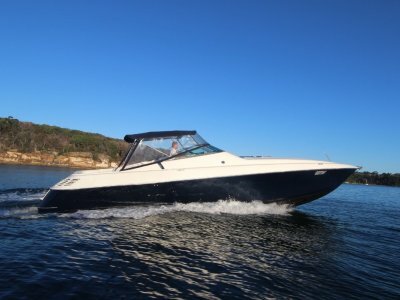 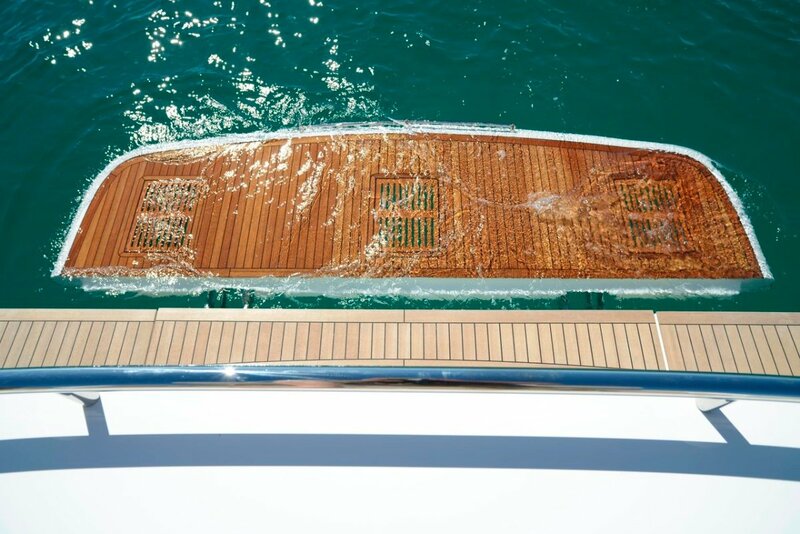 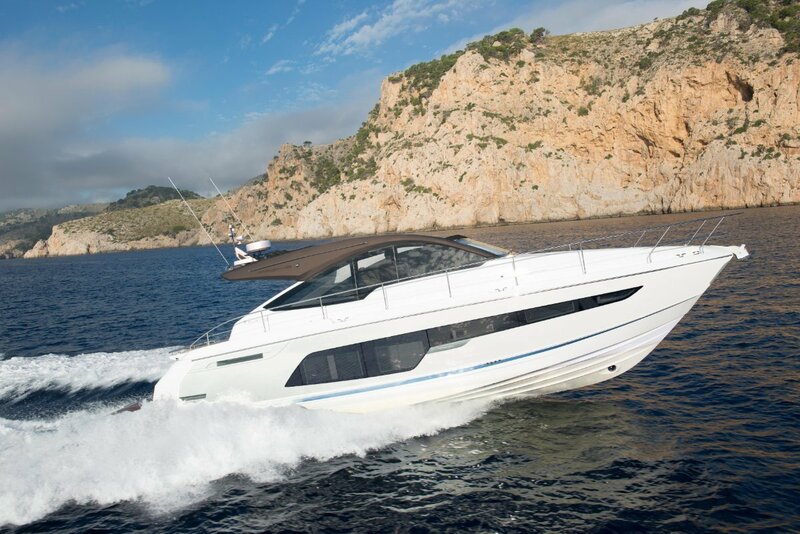 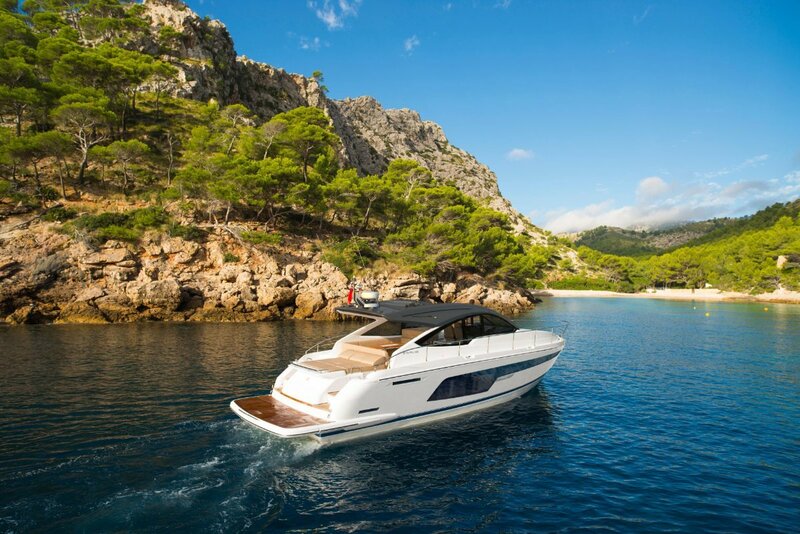 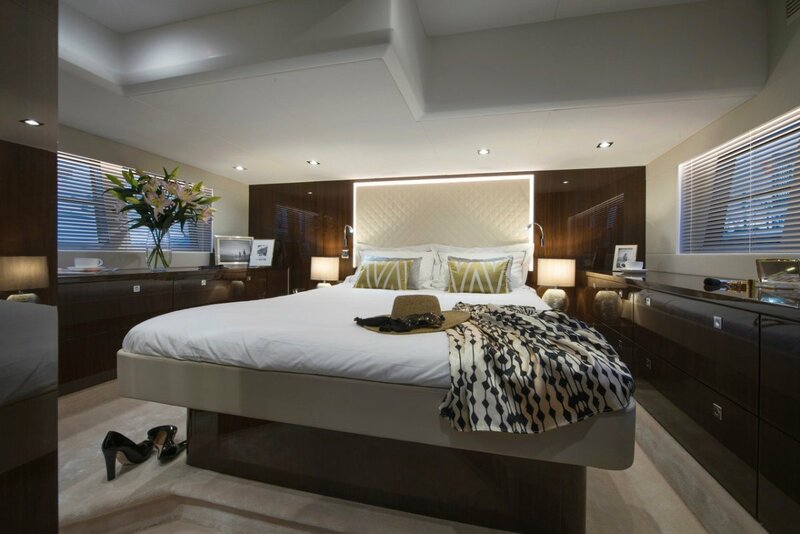 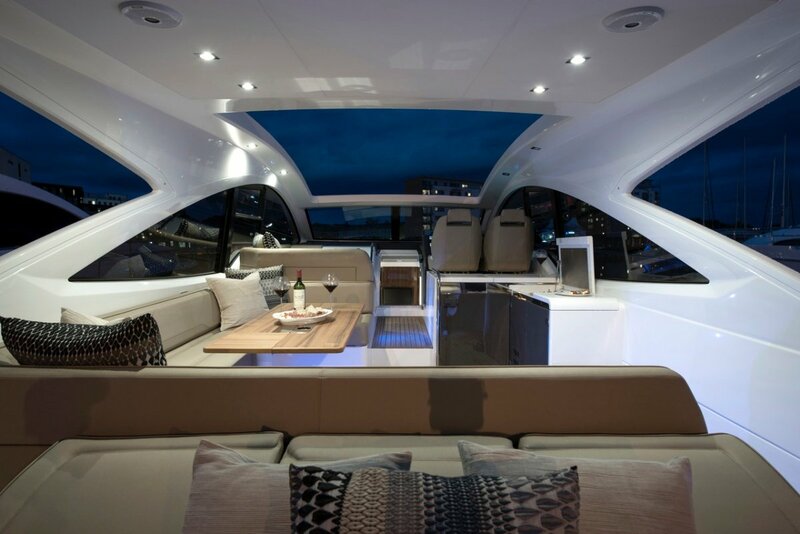 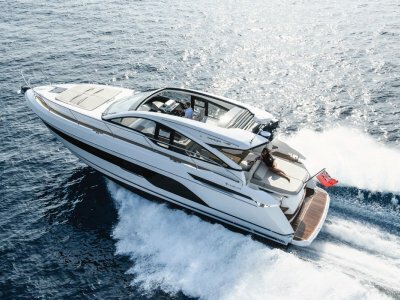 This boat is beautifully appointed with 2 ensuites, a mid master and forward double cabin. 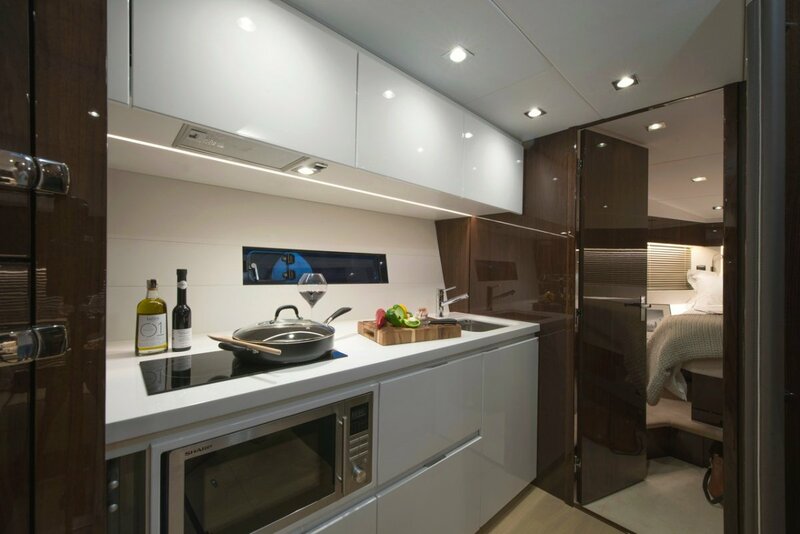 The galley has a full height fridge/ frrezer and spacious saloon / dinette, with optional 3rd cabin or sofa bed. 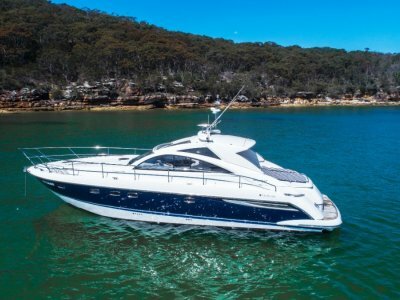 To complete this full package the vessel has a submersible bathing platform and a garage for an optional jet tender.